I'm always willing to trade custom models for models I'm missing in my collection. If you'd like a trade, send me an email and we'll see what we can work out. 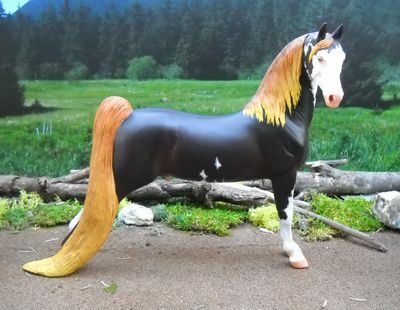 Resins, Original Finnish Models, Unpainted Models, Certain Bodies, Tack & even Dolls & Companion Animals. Anything is considered. This can be a great deal seeing as often the unpainted resins are cheaper than paying for the paintjobs! ANY resin is considered! Buy 2 Resins, send them both, and you get yours painted for the other one! I can also except Money-Order, Only Postal MO's however. Any others will be rejected. If you have questions, please do not hesitate to email me. and so it doesn't end up in my spam filter.